Hypothyroidism explained: Suppose you go in for a routine checkup and your doctor decides to test your thyroid function. You’ve experienced no thyroid disease symptoms, yet the TSH level in your blood is above the normal range. But your T4 level is normal. The results mean that you have mild, or “subclinical,” hypothyroidism, a condition that does not meet the diagnostic criteria for overt hypothyroidism but has sparked disagreement among physicians about whether to treat such patients with medication. The importance of this question cannot be overestimated because of the large number of people who are diagnosed with subclinical thyroid disease. Studies estimate that as many as 20 percent of all women over sixty and between 4 percent to 8.5 percent of the general population have subclinical hypothyroidism. The treatment guidelines for subclinical disease that have been developed for primary care doctors have been inconsistent over the years, and confusion within the medical community has led to debates over routine screening. One of the arguments against routine screening versus testing only people with symptoms or risk factors is that screening uncovers many mild cases that may not require or necessarily benefit from treatment. Some cases of subclinical hypothyroidism may never progress to overt disease. Only 2.6 percent of all people with mild disease who do not test positive for anti-TPO antibodies, which suggests an underlying autoimmune disease, progress to overt disease each year. The risk of progression is higher for those with mild disease who do have anti-TPO antibodies. Among that group, 4.6 percent of people with mild disease progress to overt disease each year. Overtreatment—for example, treating someone with subclinical disease who may not need treatment at all or giving excessive amounts to someone who would benefit from less—comes with its own risks. 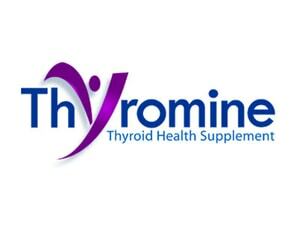 In some cases, a person could develop thyrotoxicosis, which means “toxic thyroid,” or too much thyroid hormone. Long-term complications that result from overtreatment can include cardiac problems and bone loss. 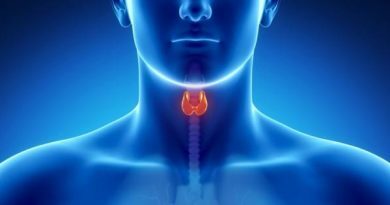 Most doctors agree that people with subclinical hypothyroidism who exhibit symptoms may benefit from thyroid hormone replacement, but even this hasn’t been proven. However, patients with no symptoms present a quandary. Some research over the years has shown that treatment of mild disease is needed to protect patients from the possible consequences of untreated mild disease, including high cholesterol, heart disease, and psychiatric problems along with the risk of progression to overt hypothyroidism. In 2000, researchers in Rotterdam, The Netherlands, published a large groundbreaking population study of 1,149 women aged fifty-five and older. The researchers recommended treatment for this population after finding that women who had aortic atherosclerosis and a history of heart attacks were more likely to have subclinical hypothyroidism than those who did not. The prevalence of heart disease was highest among women who tested positive for both subclinical disease and the presence of anti-TPO antibodies. The same study reported that subclinical hypothyroidism is as great a risk factor for heart disease as other well established risk factors, including high cholesterol, smoking, hypertension, and diabetes. How Do Doctors Test For Thyroiditis? the amount of radioactive iodine taken up by your thyroid gland. Are all thyroid lumps cancerous? How common is thyroid cancer? More than 90% of these lumps are benign (not cancerous) and do not need to be removed. Thyroid cancer is found in only about 15,000 people each year and causes about 1,210 deaths per year. The most common form (papillary cancer) moves very slowly, and treatment is almost always successful when the cancer is detected early. A less common form (follicular cancer) also moves relatively slowly. Two less frequent forms of thyroid cancer (undifferentiated, or anaplastic, and medullary) are more serious. Who can get thyroid cancer? Anyone can get thyroid cancer. However, one group in particular has a higher risk: people who have had radiation to the head or neck. From the 1920s to the 1960s, x-ray treatments were used for an enlarged thymus gland, inflamed tonsils and adenoids, ringworm, acne, and many other conditions. Others at higher risk include a child or elderly person with a lump (nodule) in the thyroid. If a man has a thyroid nodule, it is more likely to be cancerous than if a woman has one. Why are women more likely to get thyroid disease? In general, women are much more likely than men to become hyperthyroid or hypothyroid and to get Hashimoto’s thyroiditis. The reason for this is uncertain. Women are also more vulnerable to autoimmune diseases. Two of the most common thyroid diseases, Hashimoto’s thyroiditis and Graves’ disease, are caused by problems with the body’s immune system. Normally, the immune system defends the body against germs and viruses. In autoimmune diseases, the system attacks the body’s own tissues. Diseases of the immune system tend to run in families. What about thyroid disease and pregnancy? Hyperthyroidism or hypothyroidism can affect a woman’s ability to become pregnant. They may also cause a miscarriage if they are not quickly recognized and properly treated. Women who become pregnant may not notice signs of thyroid disease because similar symptoms can occur in a normal pregnancy. For example, patients may feel warm, tired, nervous, or shaky. In addition, enlargement of the thyroid (goiter) commonly occurs during pregnancy. A pregnant woman is treated differently than is a non-pregnant woman or a man. For example, radioactive materials commonly used in diagnosing and treating many thyroid diseases are never used in pregnant women. The timing of a biopsy or surgery for a thyroid nodule and the choice of drugs for hyperthyroidism may be different in a pregnant woman. These issues require careful consultation with your doctor. Postpartum thyroiditis is a temporary form of thyroiditis. It occurs in 5%-9% of women soon after giving birth (postpartum period). The effects are usually mild. 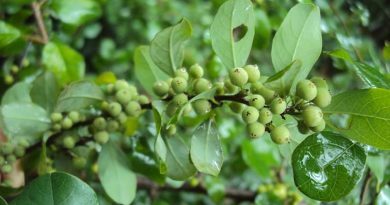 However, the disease may recur with future pregnancies. The symptoms usually last for six to nine months. First, the damaged thyroid gland may release its stored thyroid hormones into the blood, causing hyperthyroidism. During this time, you can develop a goiter, have a fast heart rate, and feel warm or anxious. Then, a few months later, you will either return to normal or become hypothyroid. Hypothyroidism occurs because the thyroid has been damaged and its hormone reserves used up. If this happens, you may feel tired, weak, or cold. The hypothyroidism usually lasts a few months until the thyroid gland completely recovers. Occasionally, the hypothyroidism may be permanent. How do doctors test for thyroid disease during pregnancy? the amount of thyroid hormones, thyroid stimulating hormone (TSH), and thyroid antibodies in your blood. How is thyroid disease treated during pregnancy? Pregnancy places some limits on the treatments which you can receive, because your doctor must also look out for the safety of your child. A common treatment for hyperthyroidism is radioactive iodine, but it must be avoided by women who are pregnant or nursing a baby. Surgery to remove a goiter or cancer may also be delayed until after the pregnancy. However, needle aspiration biopsy of a thyroid nodule may be safely done during pregnancy. thyroid hormone pills, which provide the body with the right amount of thyroid hormone when the gland is not able to produce enough by itself. Postpartum thyroiditis may or may not be treated during the hyperthyroid stage, depending upon its severity. If the patient later becomes hypothyroid, her doctor may prescribe thyroid hormone pills. However, in an effort to come to a consensus over what to do with subclinical disease, a large panel of endocrinologists sponsored by the ATA, the AACE, and the Endocrine Society put together its own recommendations for primary care physicians based on a review of all published research on the subject. In that report, published in the Journal of the American Medical Association(JAMA) in January 2004, the investigating panel found that research linking subclinical hypothyroidism to heart attacks and other cardiac problems was either flawed or inconclusive. For instance, the panel found that the Rotterdam study, a population study based on surveys, did not establish a cause-and-effect relationship between subclinical and aortic atherosclerosis. In other words, other factors, such as lifestyle, socioeconomic status, and access to medical care, may explain the result. The panel also found that there is no clear-cut evidence that treatment of patients with mildly underactive thyroids improves symptoms, reduces cholesterol levels, or prevents progression to overt disease. So who, if anyone, should be treated for mild disease? It really depends on your individual circumstances. One factor is just how mild your mild disease is. If your serum TSH level is elevated to anywhere between 4.5 and 10 mU/L and your T4 is normal, the panel “recommends against routine treatment” but suggests routine monitoring for progression to overt disease every six to twelve months. (See Table 4.1 for ranges of normal blood test results.) If your serum TSH level is higher than 10 mU/L and your T4 is normal, your disease is still mild, but your chances for progressing to overt disease are greater than those with lower serum TSH levels. The panel considers treatment for this group “reasonable.”Pregnant women deserve special consideration, the panel found, because an underactive thyroid, even mildly so, in a mother has been linked to impaired brain development in her fetus. The consensus panel recommends treating all pregnant women with mild hypothyroidism but did not recommend routine screening of all pregnant women for thyroid disease. Instead, the panel urged the testing of all pregnant women with a family history of thyroid disease, a personal history of an autoimmune disorder, prior thyroid disease, or any signs and symptoms of thyroid disease. The consensus panel advises against routine screening for the entire population, citing lack of evidence to support any preventative benefit. But it did recommend checking anyone who fell into a high-risk category, which would include all women over age sixty. The panel’s review was backed up by the U.S. Preventive Services Task Force, which issued its own report in January 2004. That body found the evidence “insufficient” to recommend for or against routine screening for thyroid disease in adults. Reports from these panels are hardly the final word on the subject. Already the AACE, a cosponsor of the consensus panel, has issued a response that is at odds with the consensus panel findings. The group is sticking to its own recommendations, issued in 2002, which advise physicians to treat patients with TSH levels greater than 5 mU/L if the patient has a goiter or if thyroid antibodies are present. (The consensus panel did not recommend testing for antibodies in patients with mild disease, even though positive results indicate a higher chance that disease will progress, because the presence of antibodies changes neither the diagnosis of subclinical hypothyroidism nor the treatment recommended.) The AACE also cautions against relying solely on medical studies and ignoring clinical experience and suggests that physicians decide on whether treatment is warranted based on a comprehensive history and physical examination of the patient. If you haven’t been evaluated for thyroid disease, keep in mind that because routine screening in the general population has not been recommended, it may be up to you to ask for a thyroid function test if you are experiencing symptoms and/or are at risk for thyroid disease.